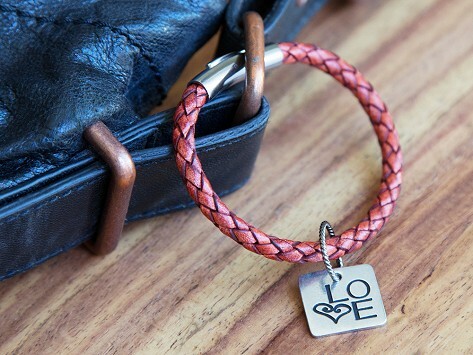 These inspirational keychain charms let you carry a custom, positive reminder every day. Founded by a mother and son, the original idea was prompted by their desire to find silver linings when a family member battled cancer. The pewter designs look handsome against this classic leather loop and steel clasp. As a bonus, the keepsake box is gift-ready and perfect for storing jewelry and trinkets. Whether you’re weathering a personal storm, or just want to add a cheerful reminder to your day, these charms let you instill your own meaning.